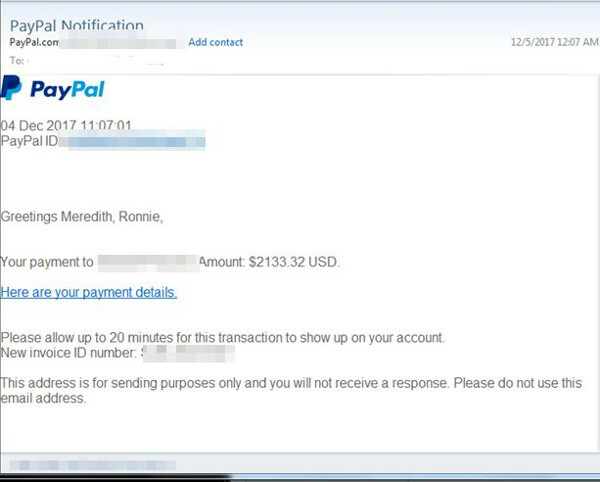 Different variants of fake Paypal notice emails were found in recent circulation. 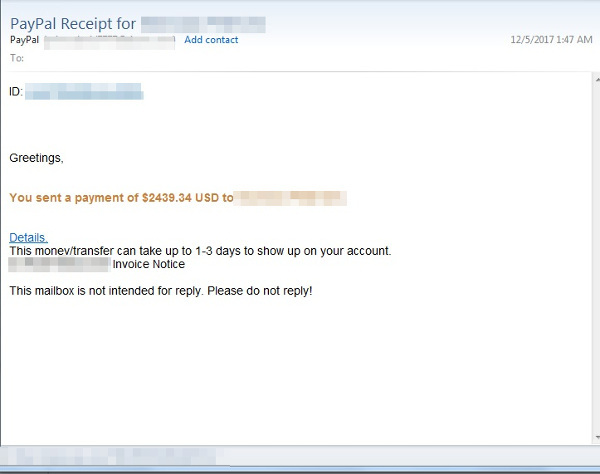 The contents of the email included the recipient’s name, PayPal ID, payment amounts, as well as the malicious link. The link in these emails redirected users to phishing websites designed to get more data out of them. Users are advised not to click links from questionable emails, even ones from prominent websites. 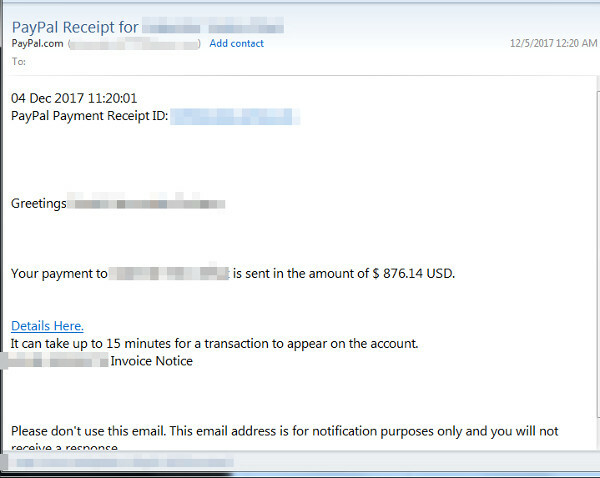 Trend Micro detects these malicious emails and prevents them from reaching our customers.